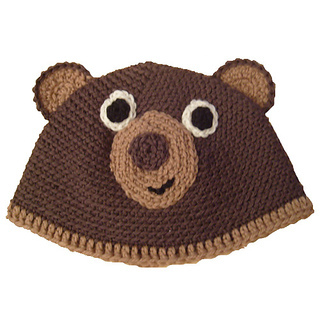 This is a pattern for an adorable bear hat (based on our amigurumi pattern: Learie the Bear). This pattern contains directions for 4 sizes, ranging from child to adult. This pattern uses mostly single crochet, plus some double crochet. In addition to a yarn and hook, you will need a tapestry needle to complete this pattern. As always, our pdfs contain progress photos, and technical assistance.